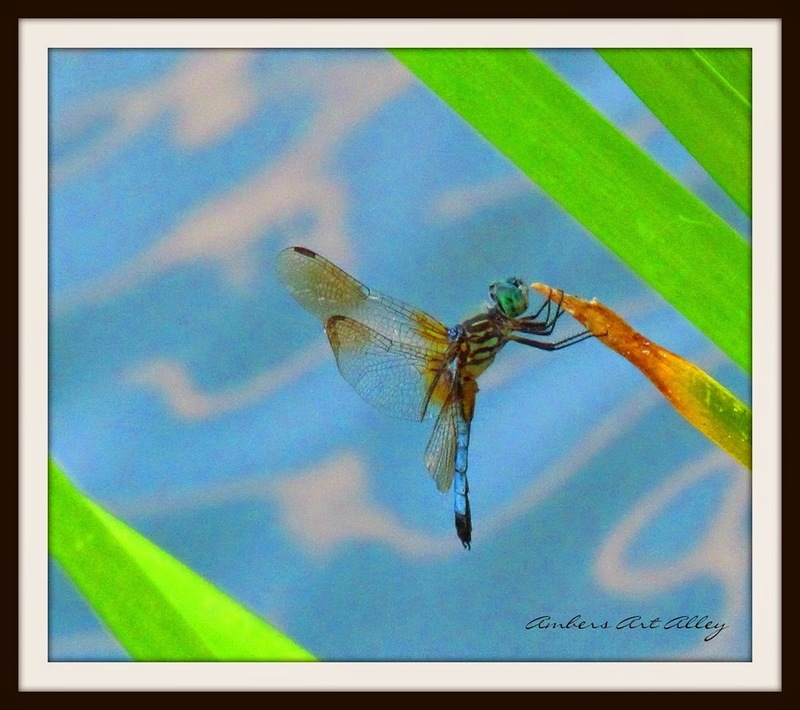 One of my totems that always seems to indicate good luck and change has been the dragonfly. So of course, I couldn't resist when Bead Soup Cafe put up a challenge to design a piece of jewelry how could I resist joining in. 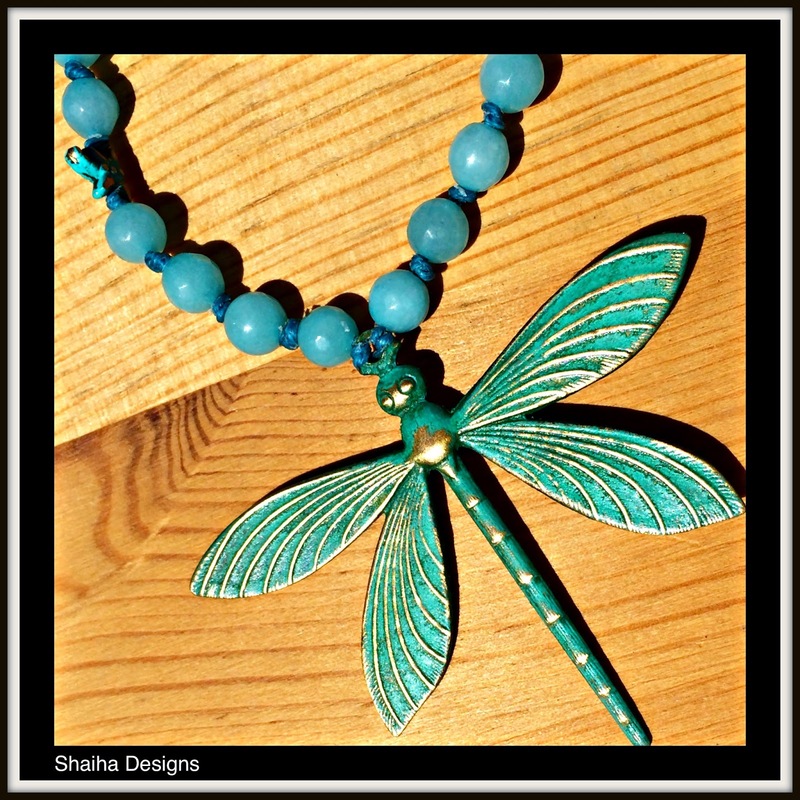 Well like I said, a dragonfly means that a change is about to happen and that even occurred during the making of this necklace. 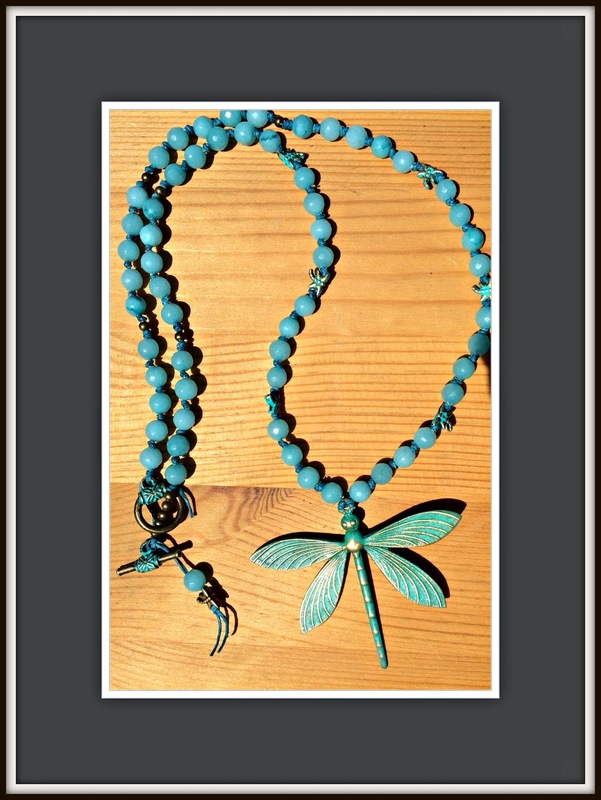 I had this gorgeous dragonfly that I had planned on using patina on and turning into the focal of my necklace. Well the patina went well and I loved the colors I was able to get. Then disaster struck as I was apply wax to protect the patina. One of the little wings snapped off. I think that I invented some new words when that happened. Once I had calmed down, it was off to step two which thankfully worked out well. 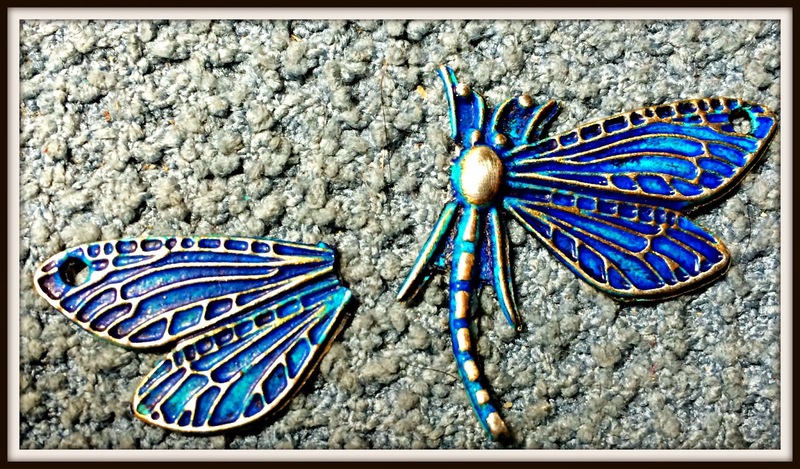 This time around, I used a dragonfly that had already had the patina applied by the Patina Queen. Not quite the same color so I ended up pulling out some new beads to go with it. I took a couple strands of Irish Waxed Linen and hand knotted up this necklace using Russian Amazonite, and brass beads with a brass clasp. It's different from my original vision but I think that it ended up even better. Change can be good and fun if you ride along with it. If interested in this necklace, please drop me a line. I have it for sale for only $59.99. So sorry for that pretty piece! It has amazing colours.